Agartala, February 4: With the pledge to rule out illegal immigrants from India, the Security forces detained seven children of Rohingya Muslims at a railway station in northern Tripura adjoining Assam on Sunday. Around 68 Rohingya Muslims, mostly children, have been apprehended in Tripura and the Assam-Tripura border in two weeks. 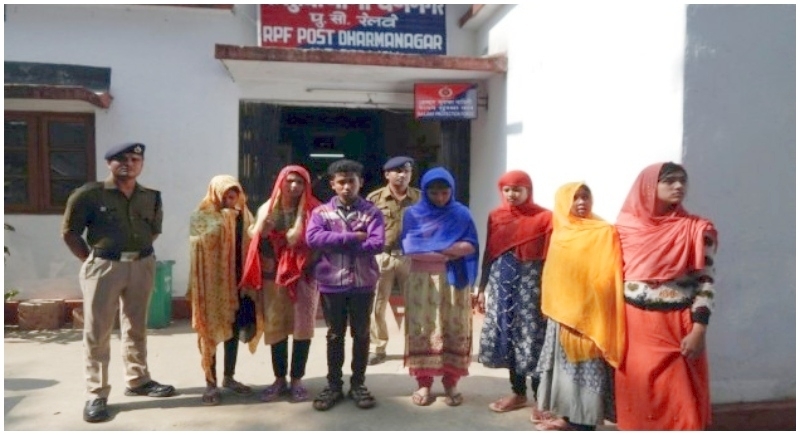 Informing about the arrest, an official of the RPF of the Northeast Frontier Railway (NFR) said that six girls and a boy belonging to Rohingya Muslims were detained at the Dharmanagar Railway Station (in northern Tripura). The children, all under 18, would be handed over to Tripura Police for further legal formalities. The officer further said that these children accompanied by touts reached Dharmanagar from Agartala by bus and intended to go to Badarpur in southern Assam by train. Sensing the presence of RPF troopers, the touts, who were accompanying the children, escaped from the spot. The security forces are however unable to understand the language the children speak. The RPF officer said that the children had railway tickets up to Badarpur railway station were found from them. The officers have suspected that the children might have been trafficked by middlemen. A police official said the teenagers would be lodged in a juvenile home run by the Tripura government. North Tripura Superintendent of Police Bhanupada Chakraborty said that the police would investigate the matter to ascertain how these children came to Tripura. On January 22, the Border Security Force (BSF) had handed over 31 Rohingya Muslims, including nine women and 16 children, who were stranded along the India-Bangladesh border since January 18, to the Tripura Police. They are now in judicial custody. According to the BSF, 62 Rohingya Muslims were arrested last year after they entered India (Tripura) illegally. Tripura has a 856 km-long international border with Bangladesh, most of which is fenced except a stretch of nearly 20 km.